A small camera which allows our practice to view clear, precise images of your mouth, teeth and gums, in order for us to accurately make a diagnosis. With these enlarged images, now we can see details that may be missed by standard mirror examinations. This can mean faster diagnosis with less chair-time for you! Intra oral cameras also enable our office to save your images in our computer system to provide a permanent record of treatments. The records can be printed for you, other specialists, or insurance companies. 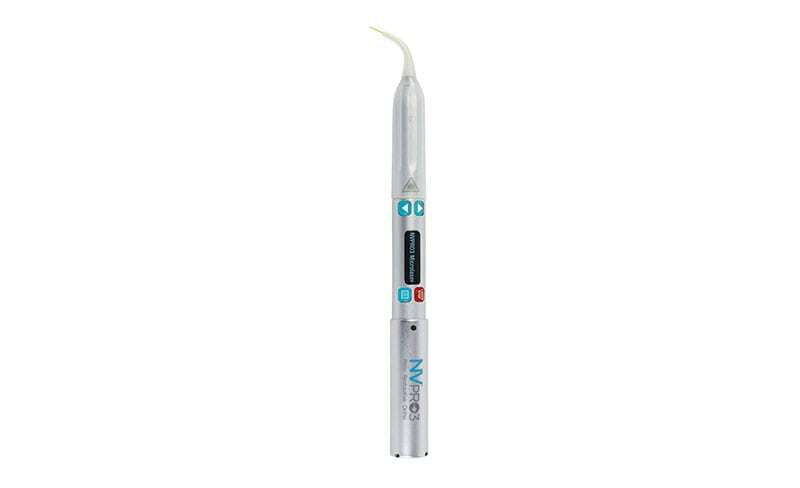 The DIAGNOdent pen is a hand-held laser caries detection aid that provides high detection accuracy of sub-surface caries lesions which can be extremely difficult to detect. 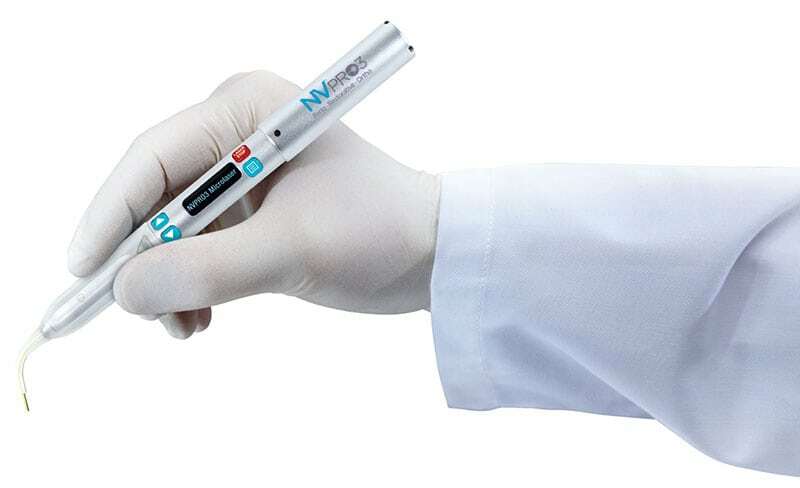 Our dentists and hygenists used this hand-held pen to confirm the precise location of the lesion prior to restorative treatment. In North America, in 2006, 34,000 people were diagnosed with oral cancer, and 8,500 died from the disease. If you smoke, drink alcohol, and/or are over 40 years old, you are at increased risk of developing oral cancer. 50% of oral cancer patients die within 5 years, but 80-90% survive if diagnosed early. 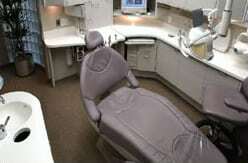 For your oral cancer screening, Dental Expressions uses the Velscope cancer screening system. CAESY Education system comprehensive program is used in our office's dental operatories and consultation room to explain diagnoses, procedures, alternatives and post-op instructions the patients in our practice. CAESY Education SystemIt covers an extensive range of dental topics, from hygiene to restorative, esthetic to periodontal disease, so that patients may quickly understand their treatment options and can make informed decisions. It clearly explains the need for treatment, what the treatment entails, homecare after treatment, as well as the consequences of delaying treatment. 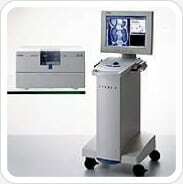 Used for CAESY, Digital Radiography, and Intra-Oral Camera display, as well as internet access for patients. Dental researchers spent years to develop an injection-free anesthesia that could be administered prior to vital periodontal procedures in order to avoid patients' needle anxieties. The result of this research is Oraqix the first and only FDA approved subgingival anesthetic that allows patients to experience needle-free deep cleaning procedures. CDs, blankets, comfortable chairs with all treatment delivered from behind you instead of looming in front of you, beautiful flower arrangements and more comfort measures await you at Dr. Bhoot's office. You'll love our five-star service and our quality dental care! Our sterilization center is of the very highest quality! Our goal is to exceed way beyond minimum standards in all areas of the practice. Of course, this would prioritize your health and therefore the sterilization and cleanliness of our practice. We use state-of-the-art antiseptic procedures. Our sterilization procedures meet the Center for Disease Control guidelines. Our Vision: To improve our patient's health by retaining teeth through endodontic therapy. 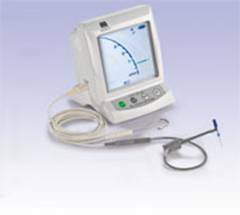 Electronic Apex Locator for precise determination of root canal length. Indications Apex location/measurement of root canal length. Rubber Dam Isolation provides for a dry, visible, and clean work area. Ultrasonic Instrumentation for advanced preparation and cleansing of the root canal system. Our office uses computers to help capture, store and transmit dental radiographs. Unlike conventional film which may take between three and five minutes to process, a digital radiographic image can be obtained and viewed quickly on computer. The image is displayed in a large format on the screen, in comparison with the small films that are viewed on a light box. With digital images, technical errors often can be corrected to provide an optimal radiograph without having to make another exposure. The dentist can use digital magnification to enhance specific problem areas of a tooth, as well as alter brightness and contrast in the image. Because the images are stored on the computer, they can be compared easily with future dental radiographs to see if and how conditions have changed. Digital radiographs eliminate the need for film and film processing chemicals that generate waste. A radiographic examination may help the dentist see small areas of decay between the teeth or below existing restorations (fillings); bone destruction from a tooth infection (for example, an abscess) or a cyst; bone loss due to periodontal (gum) disease; developmental abnormalities; some types of tumors; the effects of trauma; the position of unerupted teeth in children and adults. 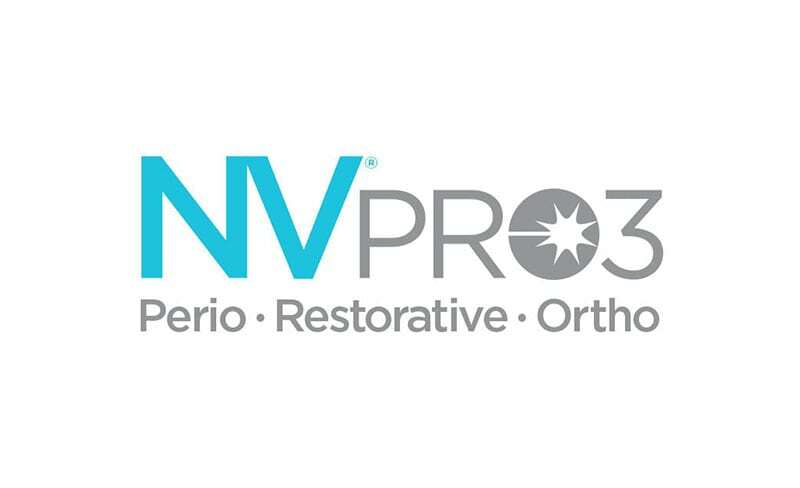 Dental Expressions owner and experienced dentist Dr. Sonal Bhoot uses the advanced next-generation NV® Microlaser for many of her patients. She has been trained and has optimized her technique for use of this diode laser for many periodontal, restorative and orthodontic procedural needs. This cordless soft-tissue laser enables the dentist to deliver the benefits of laser dentistry to each patient at Dental Expressions.